Ivette’s passion to provide empowering messages and creating real relevant skills in areas such as culture awareness, leadership, and entrepreneurship is her staying power. She invigorates her audiences with her dynamic storytelling and humor combined with her corporate, global and life experiences. She gives numerous keynote speeches all over the country every year to audiences of all sizes and across industries, with every event providing the opportunity to share her experiences of CHANGE, GROWTH and HOPE. Some of Ivette’s clients are as Shell, PricewaterHouse Cooper, HR Block, and Citi. Ivette has graced the stage of unique events like Disney Social Media Moms – On the Road, Odyssey Women Business Retreat by Odyssey Media, Hispana Leadership Summit hosted by Televisa Publishing, and Latina Style Business Series with Latina Style Magazine. 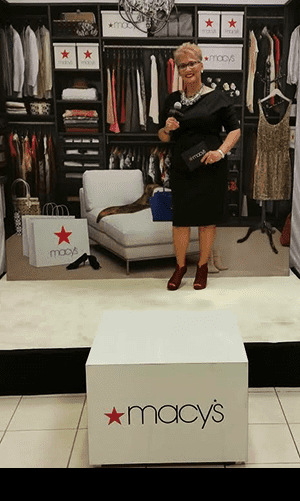 She has worked with such notable brands Nielsen, AARP, and MACY’s as a panel expert, moderator, event MC to a BRAND spokesperson. Chronicles of a Latina Entrepreneurs. You Don’t Know What you Don’t Know!. A POWER FORCE always with a POWERFUL Message! playing even harder to your event. Ivette Mayo ‘s motivational elevator pitch seminar engages participants to think quickly and eloquently. Televisa Publishing & Digital invited Ivette to open our 6th annual Hispana Leadership Summit engaging participants with her amazing “energy”. We made it a point to ask her to return the following year. She has a way of engaging and energizing her audience.